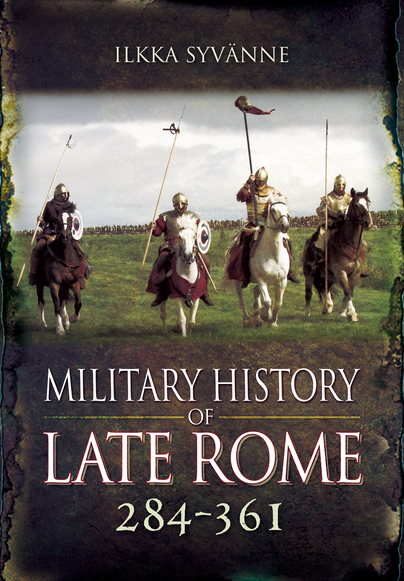 You'll be £12.00 closer to your next £10.00 credit when you purchase Military History of Late Rome 284-361. What's this? This ambitious series gives the reader a comprehensive narrative of late Roman military history from 284-641. Each volume (5 are planned) gives a detailed account of the changes in organization, equipment, strategy and tactics among both the Roman forces and her enemies in the relevant period, while also giving a detailed but accessible account of the campaigns and battles. Volume I covers the period 284-361, starting with recovery from the 'third-century crisis' and the formation of the Tetrarchy. Constantine's civil wars and stabilization.are also major themes, with the pattern repeated under his sons. Constantius II's wars against the usurper Magnentius, the Danubian tribes and the Sassanid Persians illustrate the serious combination of internal and external threats the Empire faced at this time. The author discusses these and the many other dramatic military events in their full context and puts forward some interesting conclusions on strategic and tactical developments. He argues, for example, that the Roman shift from infantry to cavalry as the dominant arm occurred considerably earlier than usually accepted. Anyone with an interest in the military history of this period will find it both informative and thought-provoking. Although it's clear from the outset that this book is a well-researched and ambitious study and that the author has a lot to say, his message is emphatically meant for those readers who are already versed in the subject. This is a valuable overview of a period in which the Roman Empire was clearly still militarily powerful and resilient, capable of overcoming a series of internal threats and external enemies, and restoring her borders after the sort of Barbarian invasions that in the next century would see the fall of the Western Empire. I'm looking forward to volume two. Un ouvrage tres documente qui fait autorite sur un sujet peu etudie et passionnant. A very documented book that makes authority on a subject little studied and exciting. This reviewer believes the work provides a comprehensive examination of Rome’s military history during this period of the empire and looks forward to the forthcoming volumes.